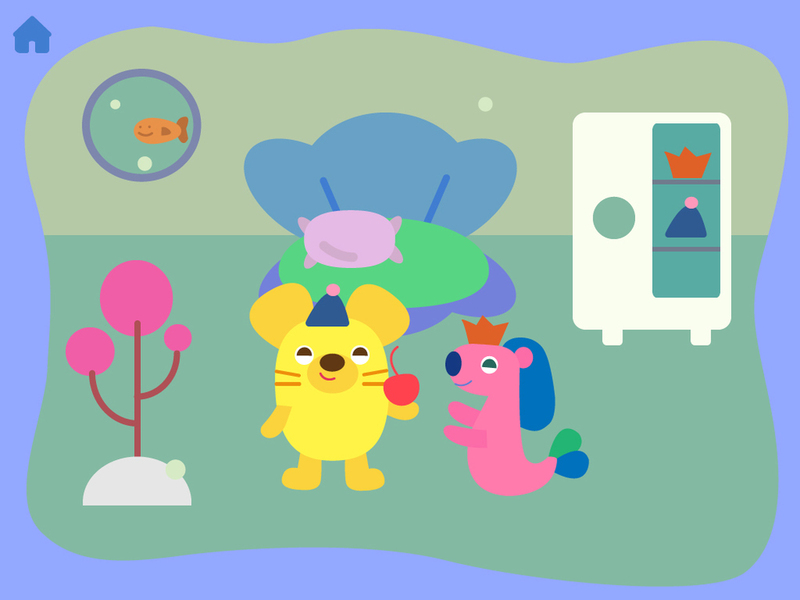 This is a mock up of an app game that lets kids create their own home with Mouse or Merlion. I designed the game play, characters, background and placeable items. What's in your home? Mouse and Merlion moved to a new home and need help filling their new home. Choose between a home on land or underwater. Decorate with furniture and items in surprise packages. Finished decorating? Mouse and Merlion can always invite each other over for play time! Have a pillow fight on the bed or have a dress up party.